Hudson Blue – Working Hard OR Hardly Working? I just returned home from my new job volunteering at Lakeside Senior Center, and boy am I tired! I met so many people over the course of 1 hour… Licking many of the seniors’ hands (many of who are wheelchair bound and with varying stages of dementia), snuggling up with them in their wheelchairs and/or beds (with permission, of course), and just making many of them smile with my charisma and charm – AND stealing a few kisses on their chins and cheeks 😏, while trying to be on my best behavior – WORE ME OUT! Plus, it’s my nap time… Yep, I AM only 7.5 months old and still take 2 long naps per day… AND, carry a stuffed animal around quite often… AND, cry like a baby when my mom leaves me with others… PLEASE don’t tell anyone 🤫🤫🤫. BUT, I have a job. A job I think I am really going to like. (I am a working breed after all). I get paid in lots of oohs, aahs, smiles, pets, snuggles, and an occasional dog treat, for doing what I love – giving/receiving affection. I overheard the Director tell my mom that I made one of the long-term residents smile for the first time in years! (Just by licking his hands and nuzzling his neck). THAT you can tell others 😘. Hi, my name is HUDSON BLUE, and I am an affection junkie! Mom, I am going to continue to stare you down until you PLAY 👏🏼 WITH 👏🏼 ME 👏🏼! I made it sooooo easy… I dropped ALL of my FAV toys in your lap. Just pick one… Pretty, please??? Hi, my name is HUDSON BLUE, and I am an attention junkie! Mom, I know we just woke from an 8 hour snuggle session 1/2 hour ago… I want to make sure you don’t forget that I am here… I am DEFINITELY more entertaining than your work 😇. Hi, my name is HUDSON BLUE, and I am an affection junkie! My struggle is REAL 😢… Can’t mom see that I am MUCH better looking and MUCH more entertaining than her laptop??? I cannot believe I have to SHARE her lap! 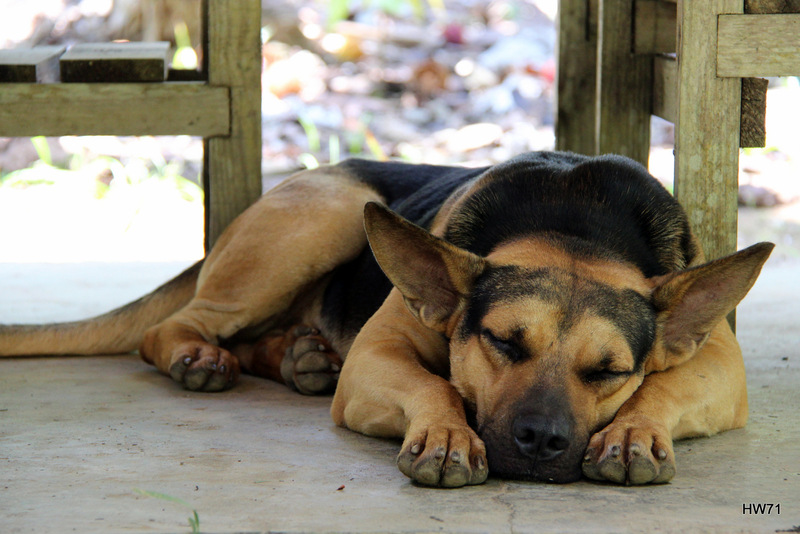 I try to tell her, and sometimes she just looks at me and laughs at my barks, while other times she flat out ignores me – especially if she is talking to her boss or colleagues. Today, I even tried to sit right on top of her laptop while she was typing. That didn’t work out very well… Mom put me (and all of the toys that I brought with me onto the sofa) on the floor… Yep… Every. Single. One. I. Own… AND, I have A LOT of toys. I am sooooooo OVER her work thing! Hi, my name is HUDSON BLUE, and I am an affection junkie! I LOVED showing my mom that I could sit and stay on command – that is until I discovered girls – the two-legged variety. Did you know if you sit pretty for a hot second and then mesmerize them with your eyes, they will hug and kiss all over you??? I loved them so much that I passed up the opportunity to play with other pups – including my cousin, Baby, born 1 month before me at @colorcountryaussies. Truth be told, of all the ladies I met yesterday, @_helenade_ and @earthy.eva were my FAVS 😘. I have listened to 2 full days of healthcare tech conference calls… BORING! Yesterday, I found my voice and put my two cents in a few times, trying to tell mom and her colleagues that I am way more interesting but I just got ignored, so I cried. I see my mom try to hide her smirk and look of adoration when I point my nose toward the sky and howl 😏. Wrapping my mom around my paw is a bit tougher than I thought… Although she does allow me to climb up in her lap to take my naps, which I do quite often. It’s all about the snuggle! If only I didn’t have to share with her laptop… Hi, my name is HUDSON, and I am an affection junkie! My new mom calls me “Baby Boy” and “Pretty Boy”, which is ok for now. But, sheesh, I CANNOT have her call me that around the 4-legged friends I hope to make over the coming weeks. Will you pls help her out with my name??? *Sunday afternoon and evening BLISS! Ron, Desmond, Tina, Ann, & Jordan, thanks for contributing to such an INCREDIBLE day!! I was supposed to be learning how to take GREAT sunset and nighttime photos (at one of the premier locations to capture the San Francisco skyline – Treasure Island)… BUT, while waiting for the sun to set and while watching the fog rapidly roll in covering up the sun and most of the skyline, this little rascal, who I aptly named Oscar (after one of my FAV Sesame Street characters), captured my attention. He quickly scampered from some large rocks on the shore to the rubbish bins lining the parking lot. He was scavenging the trash cans for dinner and was NOT HAPPY that I was capturing his binge… I got to see his not-so-pearly whites and hear his not-so-pleasant growl… Not just once… Not just twice… but on three separate occasions 😁… Have no fear, Oscar, dumpster diving is SOOOO not my thing!! 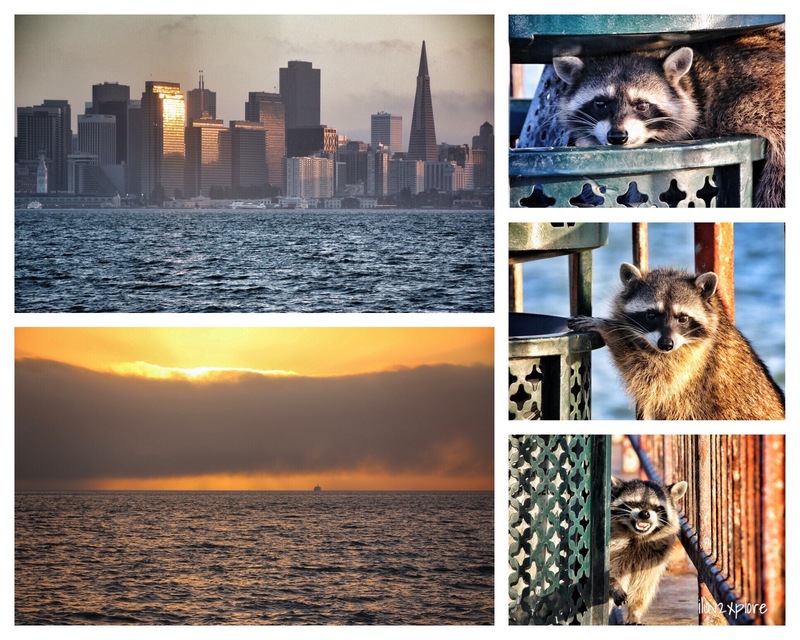 However, capturing moments is…😘😘 This must have been his “cheat” day as he opted for junk food (what looked to be fried chicken bones, French fries, and a plastic container of Ranch dressing) instead of the fresh fish, crabs, and whatever else is in the San Francisco Bay. I wonder if I should have tossed some Pepto Bismol, Tums, or some other antacid in the bin???? 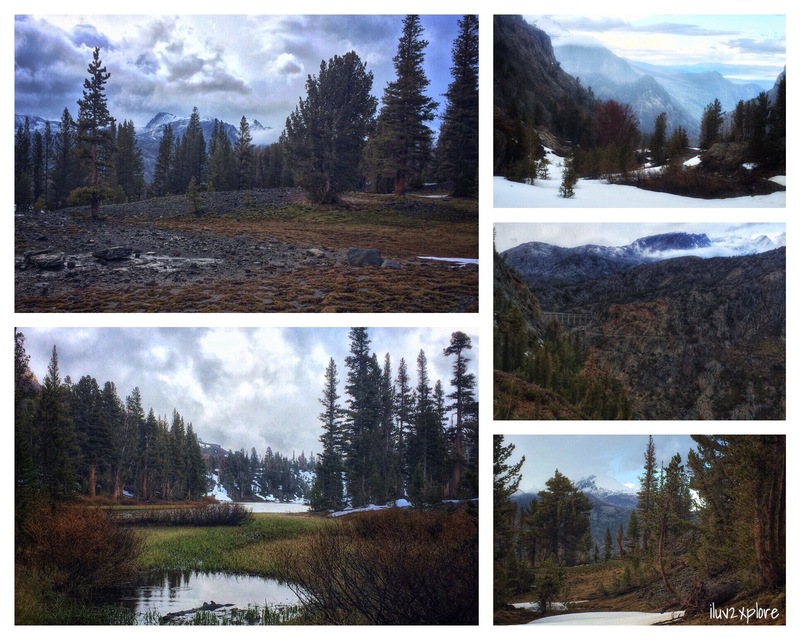 2015-May-24: Ansel Adams Wilderness, CA. 12.5 mile Rush Creek Trail loop from Silver Lake to Gem Lake, over Agnew Pass (~9,900 ft), and through Spooky Meadow. 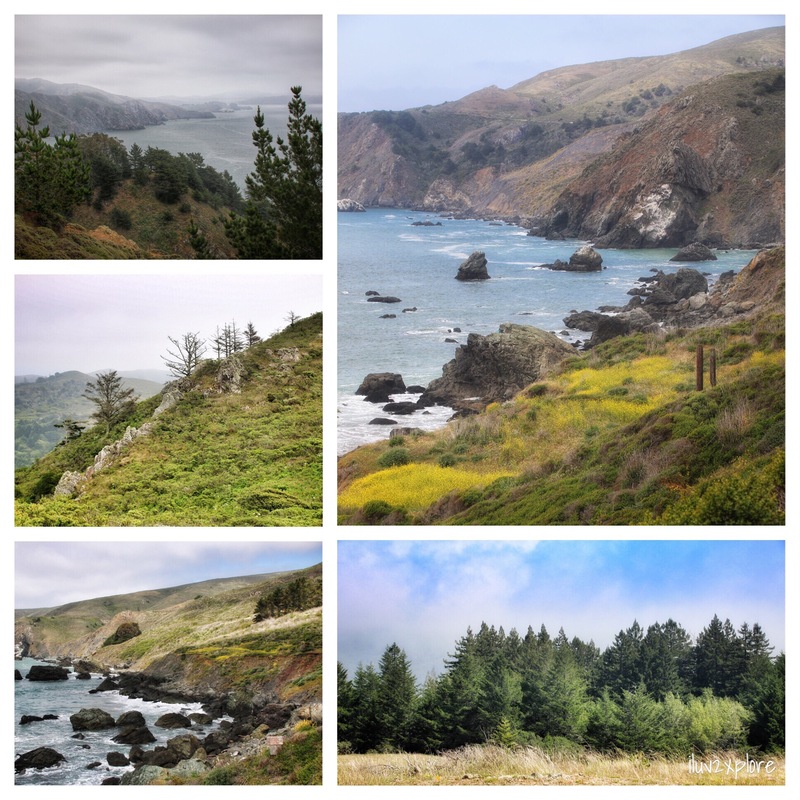 Although I am deeply in LOVE with the Marin Headlands/Mount Tam, I must admit that my LOVE for the Sierras is growing… Yosemite, Inyo National Forest, and Ansel Adams Wilderness, I am greatly anticipating our next play date 😘. Not quite the Memorial Weekend I expected… A little sun, a little clouds, a LOT of rain, a little sleet, and a little snow – AND a VERY wet camera 😩😖😥. Unfortunately, my DSLR decided to protest the afternoon outing and ultimately stopped working once we had completed our 7+ mile hike to Cathedral Lakes from Tuolumne Meadows. I can’t really blame it… It was partly cloudy and cool when our hike commenced, and within 1/2 hour it had begun to drizzle. I was quite proud that I had brought my newly purchased plastic camera cover to protect my baby. The next 1/2 hour produced snow flurries, which were followed by sleet. By the time we arrived at the Upper Cathedral Lake, the wind had picked up, it was snowing and sleeting rather hard, and it was very, VERY cold. Our planned leisurely picnic at the lake turned into a relatively quick scarf down of lunch in the snow and sleet 😬. 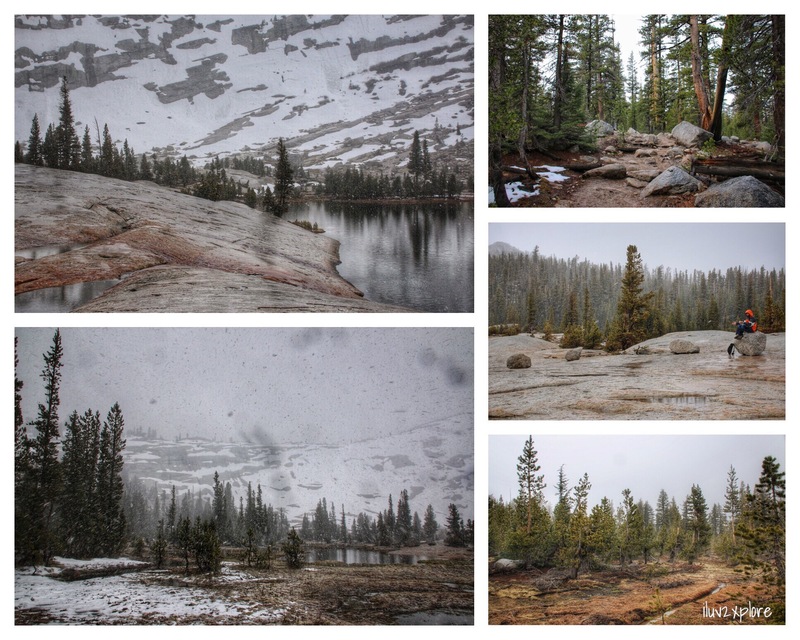 I know that weather in the Sierra Mountains in May can still be quite unpredictable, but I really did not anticipate to experience a full range of the elements on a 3-4 hour hike in LATE May. And, this was the first time my relatively new camera had experienced rain, sleet, or snow, so unfortunately, I DO understand the tantrum. 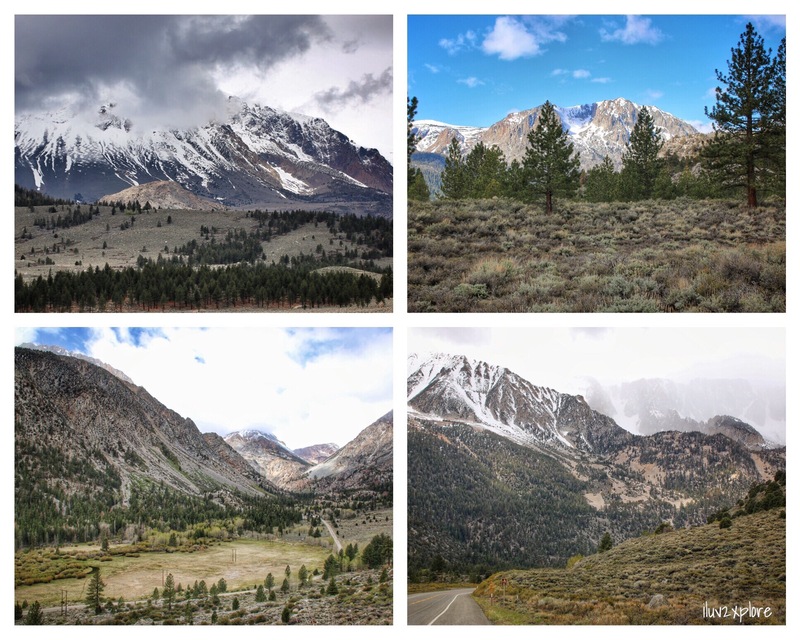 12PM PST: Highways 385 and 120 (Tioga) from June Lake, CA to Tuolumne Meadows in Yosemite National Park. 2:30PM PST: Upper Cathedral Lake in Yosemite National Park. Fingers crossed that the weather forecast of partly cloudy and 40% chance for 1 hour of rain holds true for today/tomorrow – unlike the past 2 days where 3 weather sites FAILED MISERABLY with their predictions… AND fingers doubly crossed that once my camera dries, it is fully functional. Canon, please do not fail me now! 5PM PST: Highway120 (Tioga) just past Tuolumne Meadows in Yosemite National Park. The day started on a high… with a steep, 1600+ foot ascent above the fog to the East Peak of Mount Tamalpais (aka Mount Tam), the highest point in Marin (at ~2,570 feet) with a few of my FAV nature loving, hiking peeps 😘. The day ended on a high… with a steep, 600+ foot ascent back to our starting point through groves of redwood and oak trees with a few of my FAV nature loving, hiking peeps 😘. (And those that know me, know there are two things I try my best to avoid: (1) out and back hikes, and (2) ending with a climb – especially after a VERY long day of hiking 😬). 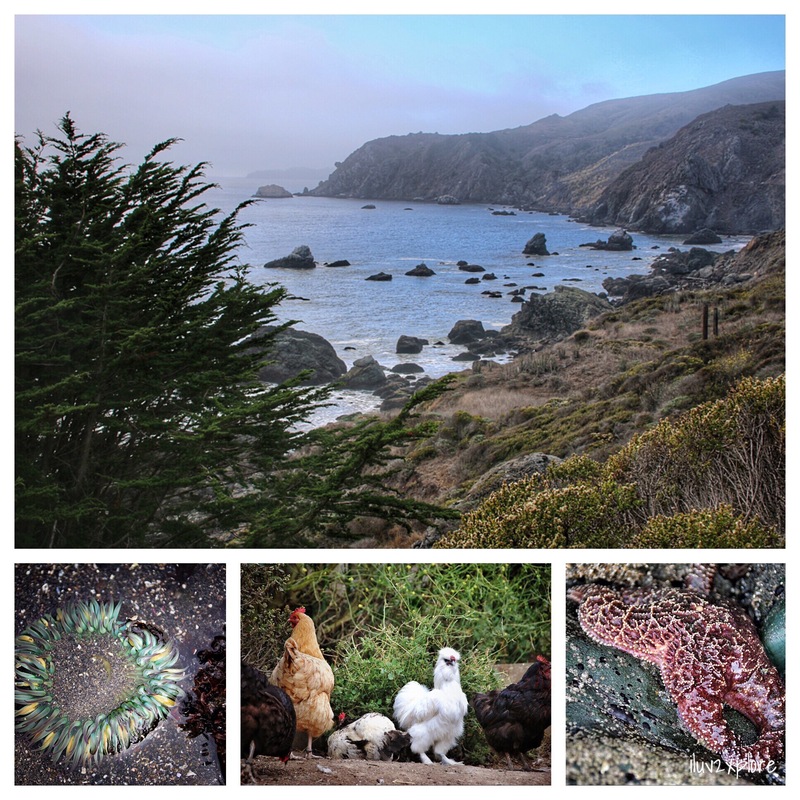 And the icing on the cake… replenishment at my FAV SF sushi joint with a few of my FAV nature loving, hiking peeps 😘. During the drive throughout Morocco the past 12 days, Moha, the Dude (aka dad) and I have gotten to know each other rather well. In addition to Moha providing background on the sites we were visiting, we have spent hours upon hours talking about our families, values, movies, hobbies, etc. and with even more time spent on the more taboo topics in America – religion, politics, economics and social issues. Despite our basic differences, Moha and I have SOOOOOOO much in common – down to our love of cooking and food. We had briefly discussed my interest in taking a cooking class while in Morocco, and Moha suggested that Essaouira and/or Marrakech would be the perfect place. As it is high season in Morocco (both from tourists and locals due to spring break), Moha found that most cooking classes in Essaouira were full. 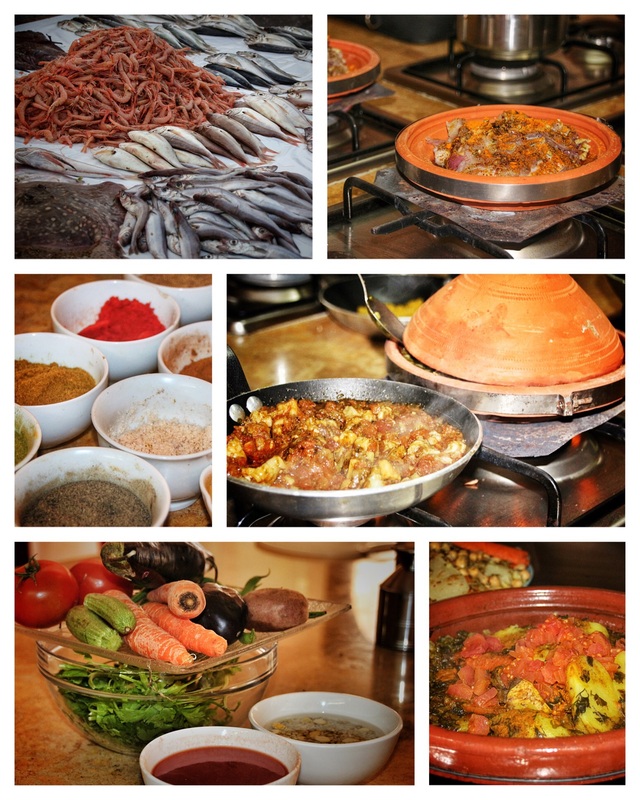 However, just as we were pulling into the Essaouira city limits, Moha was able to find an opening at a small family-owned restaurant that also offers cooking classes. 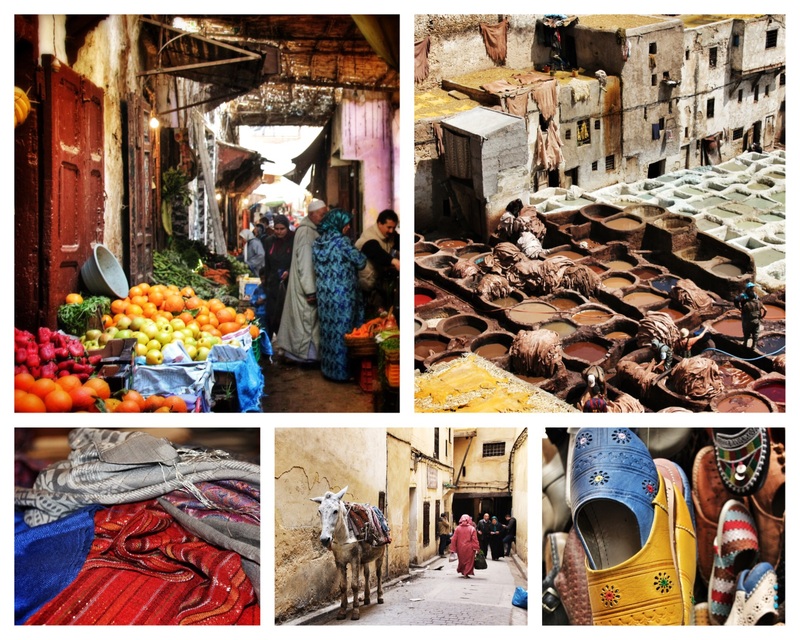 The only catch – it was starting 30 minutes after our arrival into town, giving us just enough time to check into the riad (with a hurried reception of “Berber Whiskey”), and to walk through the medina’s maze of streets to the restaurant. I, along with two French ladies from a small town outside Toulouse, France – a grandmother and her teenage granddaughter – took the class. (The Dude said he was going to support the Berber custom of no men in the kitchen 😜). Despite me knowing very little French and the instructor (and the other two students) knowing very little English, we seemed to understand each other quite well. I became very familiar with Moroccan cooking spices – especially saffron, cumin, and turmeric) and learned to make Harira (soup made from tomatoes, lentils, chickpeas, lamb, and lemon juice), Zaalouk (cooked salad of eggplant/ aubergines, tomatoes, and garlic), Pastilla or B’stilla (paper-thin pastry crust filled dusted with powdered sugar and cinnamon, and filled with pigeon/squab meat (or chicken), almonds, and eggs spiced with saffron, cinnamon, and fresh coriander), and Tagine (stew, consisting of meat and vegetables in a rich broth, cooked and served in a round earthenware dish with a conical lid). While I was taking the class, Moha took the Dude around his old stomping grounds and to meet some of his friends, and occasionally peeked their heads in the class. tastes… TASTY- quite the understatement! Although we only made enough food for us students to eat a nice-sized meal, the restaurant owner extended a complimentary dinner invitation to the Dude, Moha, and the French ladies’ family – a total of 6 extra people – all who coincidentally appeared when all of the food was finished cooking 😋. We were ushered to the restaurant’s rooftop terrace to taste our creations (along with a few that the chef quickly prepared to provide a filling meal for the additional guests). 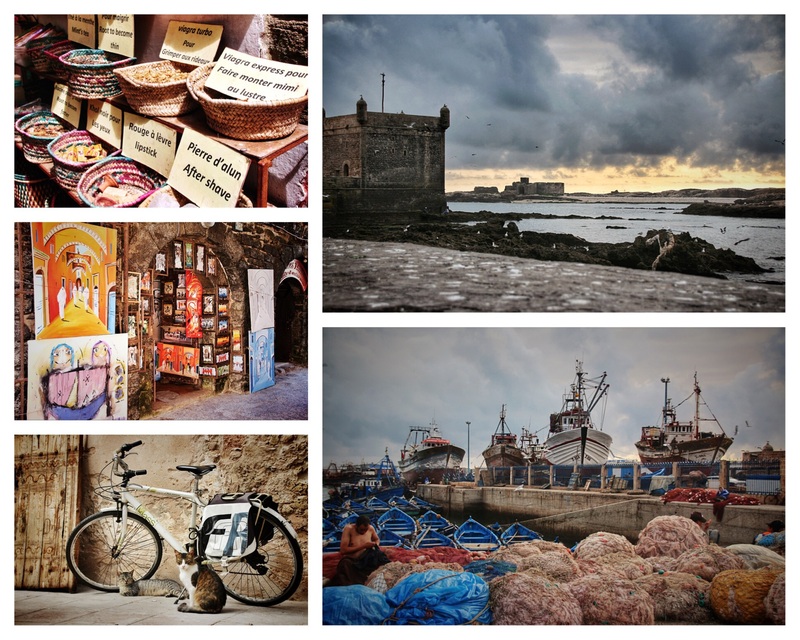 This is where I got my first glimpse of Essaouira’s PHENOMENAL views of the Atlantic Ocean, and right at sunset. Who could ask for a better way to dine and with better company than the Dude and Moha??? sights… sounds… smells… the city SCENE. 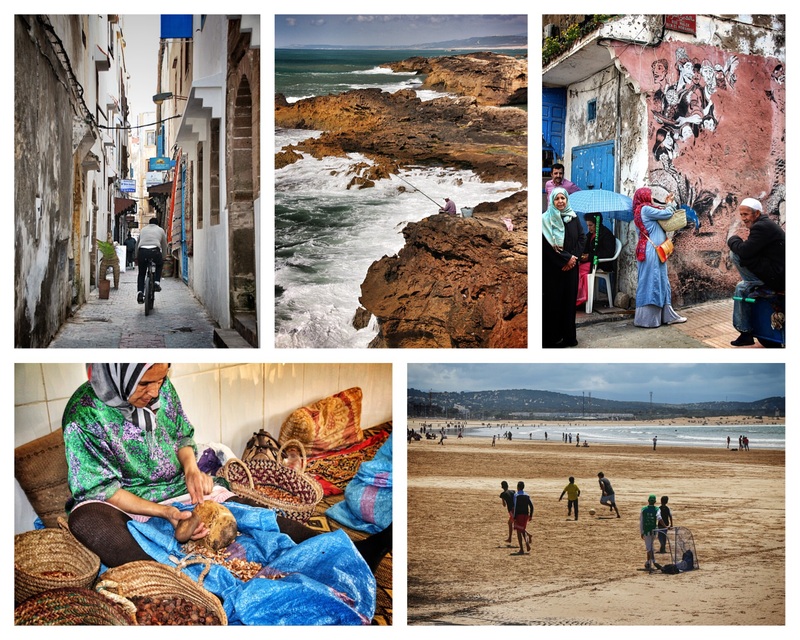 The streets of Essaouira. The Dude and I were originally planning on spending 2 full days in Essaouira and then venturing toward Casablanca, but Moha invited the Dude and I to his house in Marrakech for dinner on what would have been our 2nd night. I felt honored that he would extend another invitation to share a meal with his family. (The first invitation was for lunch, the main meal of the day in Morocco, at his parent’s house in Erfoud (near the Sahara Desert) where we met his mother, father, sister, brother, sister-in-law, young nephew, and baby niece). This invitation was for dinner at his home that he shares with his wife and two small children. (He even offered a cooking lesson given by both his wife and him). I was eager to go as I had heard so much about his wife and children, and even heard the voices of his young boys asking him to come home. His youngest, who is not quite 2, would call his mobile and repeatedly say “back”. TOO cute!! In any event, the Dude and I were DELIGHTED to be able to spend the evening with them. I was greatly surprised that we were directly ushered into the beautifully decorated sitting room (which is typically restricted to family members and very close friends) vs his OPULENT bet diyaf (guest room). Moha explained that now we are family… He, respectfully, calls the Dude – Dad, and me – his sister. The Dude and I feel the same way about him. We have thoroughly enjoyed our time with Moha and couldn’t imagine a better person to explore Morocco with! Moha turned the TV in the sitting room to an English language channel for the Dude while I was off to the kitchen for my cooking lesson. His lovely wife showed me how to make couscous w/ vegetables and lamb, while Moha instructed me on how to make beef tagine w/ vegetables. Despite being a Berber man, Moha is a wonderful cook! (His mother was concerned that he would never marry – as he seemed more interested in business – so she made sure he knew his way around the kitchen). While the entrées were cooking, I had plenty of opportunity to play with his two young sons. Just like in America, his 4 year old is addicted to playing Angry Birds on his iPad. His youngest, who is a bit reserved and quite shy, surprisingly warmed up to me rather quickly (according to Moha and his wife). My favorite heart melting moment was when he came and sat next to me, scooting as close to me as he could possibly get without sitting in my lap, and then laid his head on my leg 😘. Such a cutie!! Keeping with tradition, dinner was served at a knee-high, round table in the sitting room. Typically, Moroccans eat from a common dish, scooping up food with the fingers on their right hand and/or bread. For this meal, all of us adults ate more Western-style using plates and utensils, while the kids ate traditionally. I have never seen little ones who loved tea, meat and vegetables as much as these two. You would have thought they were eating candy… Although both the lamb couscous and beef tagine were QUITE TASTY… Kudos to the chefs 😉!!! I was so excited to embark on our ~500km/300mi journey through the Middle and High Atlas Mountains and the Ziz Valley to the Sahara Desert. The Dude (aka dad), not so much… Over the years, I have learned that he is much more into the destination rather than the journey, but will easily go along with the flow 😊. Moha, on the other hand, was eager to show us Erfoud and the Sahara, where he grew up and where his parents and most of his siblings still reside with their families. 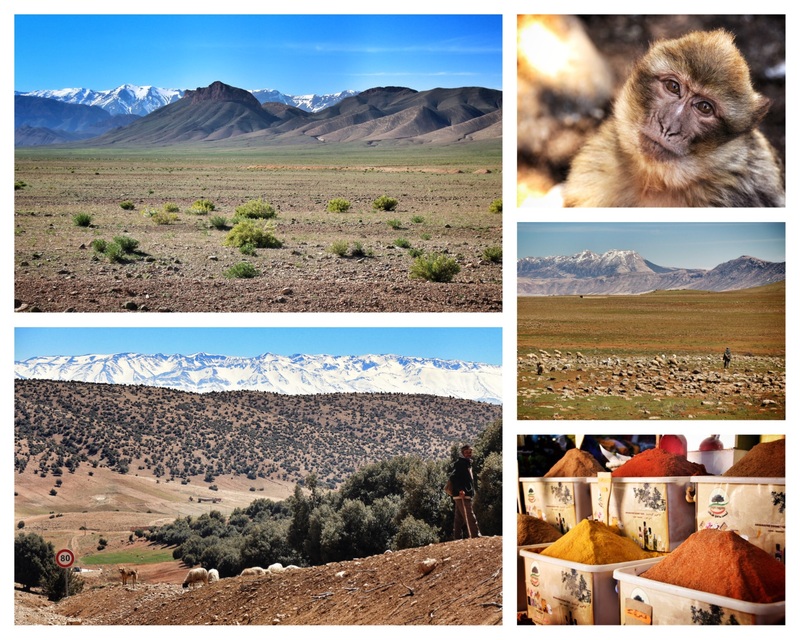 sights… NATURAL Beauty… A drive through the Middle and High Atlas Mountains in Morocco. Nothing prepared me for what I was going to see and experience in the Sahara Desert. Although having lived in the Arizona desert for almost 15 years, and having spent time this past year in the deserts of Arizona, California, and Utah, I am very familiar w/ desert colors – or so I thought… I had not anticipated a full rainbow of colors in such bright hues. It was like a combination of Antelope Canyon, Grand Canyon, Death Valley, and Zion on steroids! It was so INCREDIBLY peaceful watching the sunset from atop a very large sand dune. I can honestly say I have seen better sunsets… (3-January-2015 in Sequoia National Park was the best I have ever seen while 2-May-2012 in Negril, Jamaica and 5-May-2012 in Negril, Jamaica were a close 2nd). I think it was the overall experience that made it such an AMAZING moment… Being in Morocco – a place that I had spoken about infrequently since my youth but never really had a plan to go… With my father – the only parent I have left… Celebrating his birthday – a big one, although he claims to be 39 and has since I was born 😁… In the Sahara Desert – a place that I imagined to be VERY tranquil but a place my sister really did not want me to visit because of its proximity to the dangers in Algeria – a mere 35km/20mi away – and the continued struggles in the Western Sahara Desert. Surprisingly, there was a stillness in the air. Even the camels ceased their moans, squeaks, groans, and roars and sat silently as the sun crept out of sight. 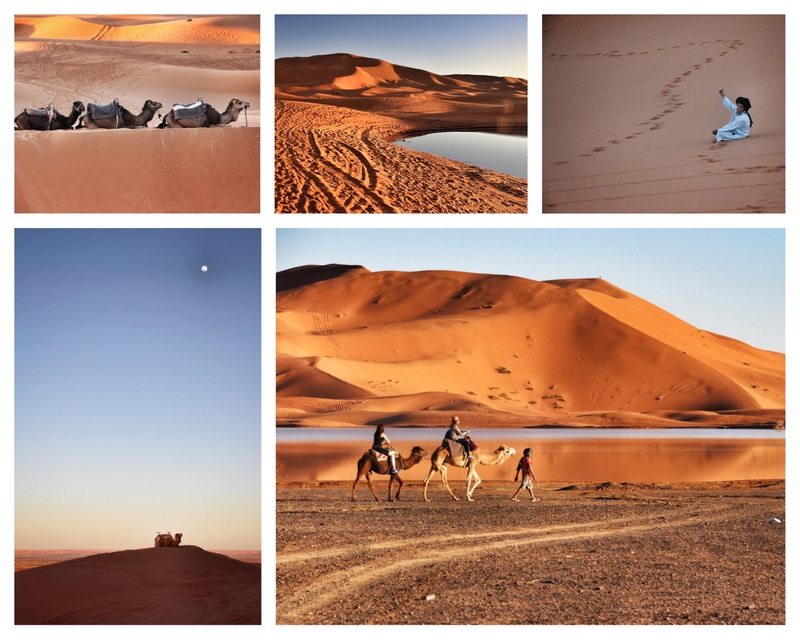 sights… NATURAL Beauty… The Sahara Desert in Morocco. I so wish I could have spent many more days just exploring the Sahara Desert but I think the novelty of the desert with the Dude was quickly wearing off 😁. He loved the surprise birthday party that Moha planned but was ready to explore something different. Had I been with some of my more outdoorsy friends and had more time in Morocco, I would have asked Moha to arrange for us to stay deeper in the desert and for much longer. He has promised to arrange that when I return. The Dude (aka dad) and I were en route to the Sahara Desert (~850km/530mi from Chefchaouen) and decided to stop for a few days to visit Fès and the surrounding cities (Meknès and Volubilis). I wanted to see them (especially Fès), as they are all UNESCO World Heritage sites, but more importantly, I wanted the Dude to experience a little more city life before spending several days off the grid in the Sahara Desert and at Mount Toubkal, North Africa’s highest peak. As he is much more of a city boy, I didn’t want to push my luck 😁. sights… sounds… smells… the city SCENE. 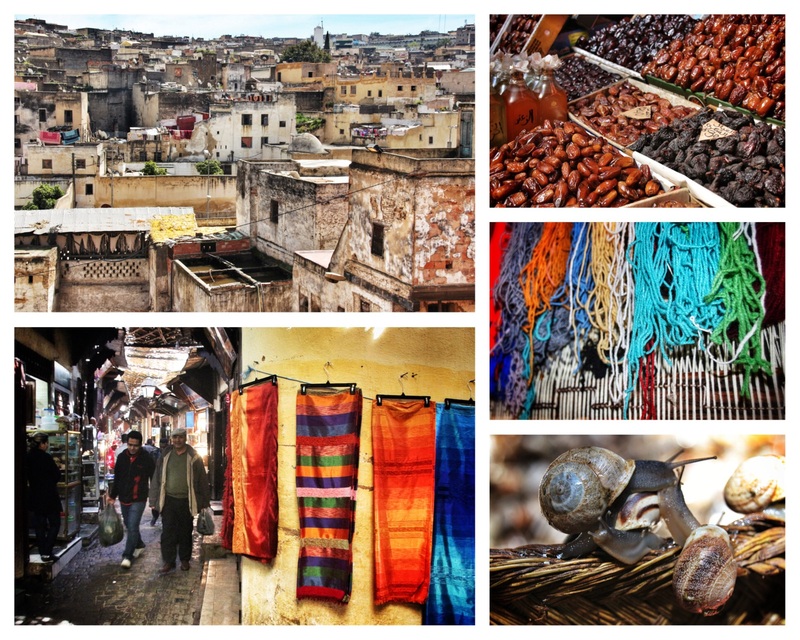 The streets of Fès el Bali including the Chouwara Tanneries. Upon arriving in Fès, I got the 2nd shock of the day and was quickly reminded to not judge a book by its cover… We pulled up outside the medina and noted that most of the structures looked rather shabby and quite dilapidated. I got “The Look” from the Dude… When I travel, I have minimal expectations, am quite flexible in dealing with most situations, and am quite comfortable sleeping on the ground in a tent. (In fact, I LOVE my sleeping bag!) The Dude, on the other hand, prefers more plush accommodations but can also be quite flexible if he has to. In any event, Moha led us down a maze of VERY narrow alleys, and we finally came upon a large, nice looking door. We rang the bell, and were ushered into the most opulent riad – hand-cut mosaic tile floors, hand-carved cedar ceilings, beautifully upholstered chairs, 6 guest quarters, all overlooking a center garden with a fountain. Such hidden beauty!! I got “The Look” from the Dude, but this time, it was followed by a smile. He LOVED the accommodation that Moha suggested. Moha explained that by having very modest exteriors, ALL can live in the same neighborhood, regardless of their socioeconomic status. If you ask me, riads and dars are the way to go for accommodations in Morocco if you prefer something similar to a boutique B&B. The 3rd shock was learning that most Moroccans (especially those from smaller towns and out in the countryside) don’t recognize daylight savings – even those who actually change their clocks. This caused quite a bit of confusion in situations that involved a specific time… The AMAZING chef (Beso) at the riad where we were staying asked what time we would like our dinner served, and I indicated that 20:30/21:00 would work well. (The current time on both my iPhone and his watch was 18:30). He looked at his watch and said, “Dinner will be served at 19:30.” To make things clear, I suggested that we would be ready for dinner in 2-2.5 hours, and again he said, “Dinner will be served at 19:30.” Moha overhead the entire exchange, shook his head and chuckled, and then explained that we were both right as many don’t observe the daylight savings time change 😜. My name is Hilary, and I am an addict! Moroccan mint tea (aka “Berber Whiskey”)… olives grown and pressed just outside Chefchaouen… Moroccan bread (especially the khobz and msemen/rghaif)… tagine… I just can’t seem to get enough 😋. Moroccan mint tea (green tea blended with mint leaves) is considered a drink of hospitality and is served everywhere – prior to check in at Riads/Hotels, prior to exchanging money at some shops, upon entering people’s homes, etc. – and, as Moha explained, to turn it down is seen as a sign of disrespect. Thank goodness I LOVE tea. Olives – black, yellow, and/or green – and/or – whole or tapenade – are served with almost every meal. I loved olives before but now I really LOVE them 😘. The bread is pretty darn good too. As it is a staple in the Moroccan diet, most meals include 2-4 different kinds of freshly baked bread. Moroccan tagine… So SO SO So good!! I have had 2 beef, 2 chicken, and 1 lamb tagine in the past few days – all with different ingredients (from root vegetables to prunes and apricots to lemons and olives to dried fruit and nuts) and all INCREDIBLY scrumptious! Moha suggested that if we journey to Erfoud (his hometown) or Essaouira (his current city) either his mother or wife will show me how to make it. I will be one happy girl 😊😊😊. Last but not least, the pastilla is quite tasty! Not quite addicted… AND I will never look at pigeons the same… So, do I tell the Dude that he just had a meal made from rats w/ wings??? Believe it or not, the Dude and I have done something other than eat/drink 😜. After spending such a short time in Casablanca and Rabat, we decided to spend a few days exploring Chefchaouen – at Moha’s suggestion. Chefchaouen, also known as the “Blue City,” is such a uniquely cute little town. And, YES, almost everything is a shade of blue. The walled town is a maze of VERY narrow, steep alleyways (most that look eerily similar) that twist and wind up the side of the Rif Mountains. The alleyways are filled with tiny workshops and cooperatives whose merchants make things such as woven fabrics (for making djellabas), leather goods, cedar furniture, olive oil, goat cheese, bread, etc. – all using local resources. It seems that everyone has their role within the community. Lucky for me, I was able to feed my love of Moroccan bread by finding the baker that has the community earthen oven. Not only does he sell bread, he also bakes (for a small fee) the raw dough brought in by the townspeople. Chefchaouen, Morocco. Chefchaouen (“Shef-SHAH-wen”) is nestled in the foothills of the Rif Mountains, and is known as the “Blue City.” Like many other Rif Mountain villages, Chefchaouen is relatively rural. It was initially inhabited by Rifi Berbers, who were joined by Andalusian Jews and Muslims after fleeing Spain beginning in the 15th century. It is such a uniquely cute little town. And, YES, almost everything is a shade of blue — with the exception of the BRIGHTLY colored woven fabrics and handicrafts. Although the Dude and I were only in town for a few short days, Chefchaouen and the Rif Mountains more than exceeded my expectations! I could really feel the warmth of the people and closeness of the community… Many that we met shared how excited they were that we (as Americans) decided to visit their country… All of the kind people that we met, plus the extraordinary scenery made for a wonderful visit. 28-Mar-2015: Chefchaouen, Morocco. The sights… sounds… smells… the city SCENE. Walking the streets of Chefchaouen, also known as the “Blue City.” It is such a uniquely cute little town. And, YES, almost everything is a shade of blue – with the exception of the BRIGHTLY colored woven fabrics and handicrafts. 28-Mar-2015: Chefchaouen, Morocco. The sights… sounds… smells… the city SCENE. Walking the streets of Chefchaouen, also known as the “Blue City.” It is such a uniquely cute little town. And, YES, almost everything is a shade of blue – with the exception of the BRIGHTLY colored woven fabrics and handicrafts, AND the hundreds of spoiled cats that seem to own this town. 28-Mar-2015: Chefchaouen, Morocco. The sights… sounds… smells… the city SCENE. Walking the streets of Chefchaouen, also known as the “Blue City.” It is such a uniquely cute little town. And, YES, almost everything is a shade of blue. 29-Mar-2015: Chefchaouen, Morocco. Chefchaouen (“Shef-SHAH-wen”) is nestled in the foothills of the Rif Mountains, and is known as the “Blue City.” Like many other Rif Mountain villages, Chefchaouen is relatively rural. It was initially inhabited by Rifi Berbers, who were joined by Andalusian Jews and Muslims after fleeing Spain beginning in the 15th century. It is such a uniquely cute little town. And, YES, almost everything is a shade of blue. 28-Mar-2015: Chefchaouen, Morocco. The sights… sounds… smells… the city SCENE. Walking the streets of Chefchaouen, also known as the “Blue City.” It is such a uniquely cute little town. And, YES, almost everything is a shade of blue – despite having all of these BEAUTIFUL paint colors to choose from that are widely available in the medina. 29-Mar-2015: Chefchaouen, Morocco. Chefchaouen (“Shef-SHAH-wen”) is nestled in the foothills of the Rif Mountains, and is known as the “Blue City.” Like many other Rif Mountain villages, Chefchaouen is relatively rural. It was initially inhabited by Rifi Berbers, who were joined by Andalusian Jews and Muslims after fleeing Spain beginning in the 15th century. It is such a uniquely cute little town. And, YES, almost everything is a shade of blue – – with the exception of the BRIGHTLY colored woven fabrics and handicrafts. It was a long haul, but the Dude (aka dad) and I have finally arrived in Morocco 😋. We were warmly welcomed with a “Berber whiskey” (piping hot fresh Moroccan mint tea) and a HUGE warm hug from our driver/guide (Moha) as though we were longtime friends returning for a visit. After a quick afternoon in Casablanca, Moha whisked us away to Rabat to experience a much more relaxed atmosphere dining amongst the locals. Holy… good tagine!!! Maybe it had something to do with my complete mental and physical exhaustion??? I had been working CRAZY hours for almost 8 weeks, and was riding on a high because my team and I had FINALLY resolved a huge issue the Friday before Christmas. On this same day, my high sunk to an all-time low when I realized that someone’s ego unnecessarily got the best of them, and was going to have significant negative impacts on me. (All I can say is I am a firm believer in KARMA… 😇) Plus, I had spent the previous week traveling to Atlanta for the holidays to visit my family – the Dude (aka dad), my older sister, bro-in-law, and their two young children. I ADORE my 6 year old niece and 4 year old nephew – except in the wee morning hours… The morning after my arrival, at 6 AM EST (3AM PST), I hear my 6 year old niece chastising my 4 year old nephew right outside my bedroom door, screaming at the top of her lungs “Be quiet, Julian, Auntie is sleeping!!! !” The next morning, Christmas, I had a certain young lady plop right on my bed at 4AM EST asking if it was time to open gifts… Needless to say, on top of being a bit jet-lagged, I was also a bit sleep deprived in Atlanta. OR, maybe the fact that the trails were VERY icy, and I did not have proper footwear??? 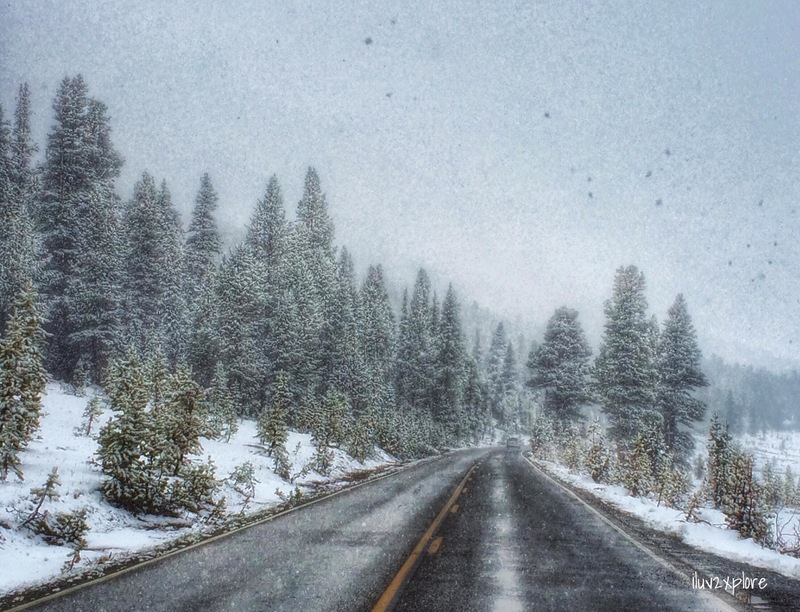 It WAS wintertime… I don’t know what I was thinking 😋… I guess living in an area with year-round mild weather and having just spent the previous few days in Death Valley made me forget that I would probably encounter snow and ice. I had already slipped a few times, and the last thing I needed was to re-injure my back after finally surpassing MANY years of being in chronic pain. Note to self, the soles on my Salomon shoes become like skates when they encounter winter elements 😁. Next time, I will definitely make sure I bring crampons. Whatever the reason, this was possibly the 2nd time in my life I was more than ready to quit shortly after starting something. My gal pals and I did manage to walk a few short miles in the Giant Forest, on the Big Trees Trail, and to visit the General Sherman Tree… and I did snap a picture or two 😁. After having a relaxing lunch at the Wuksachi Lodge, we decided to go on a car ride to see what we had missed the evening before as we entered Sequoia National Park long after dark. The road back to the Ash Entrance of the park is only ~25 miles but took more than an hour primarily due to the sharp hairpin turns but also to a few drivers who were busier enjoying the views than driving 😁. It seems as though these peeps failed to notice the NUMEROUS turnouts along Highway 198. In any event, our timing was just about perfect… We arrived at the Eleven Ranges Viewpoint in the late afternoon – just in time to snap some photos of the late afternoon sun. And for the first time in weeks, I was able to return to the present moment… To stop the millions of thoughts and images dashing through my brain… To focus on the INCREDIBLE beauty before my eyes… And most importantly, to feel a TREMENDOUS sense of peace. One afternoon… One city trail… One red bridge… Several beaches… Several good friends… HAPPINESS… My love affair continues..
10 avid adventurers planning on a hike… 1 overslept, a few needed sleep, 1 sprained an ankle, and a few played nursemaid… SO……… then there were 3, who decided to spend the day visiting a few hot spots along the NCAL coastline… Muir Beach & Overlook, Pirate’s Cove, Tennessee Cove… And a few well-known trails … Fox Trail, Green Gulch Trail, Coastal Trail… And 1 lesser known, and newly re-named “Forbidden Trail” – thanks to Roxana. More BREATHTAKINGLY beautiful scenery and INCREDIBLY kind people! The Dude (aka dad) and I encountered quite SPLENDID views throughout our journey over the Vršič Pass and thru the Julian Alps visiting the areas of Kranjska Gora, Bovec, and Bohinj Bistreca/Mount Vogel. Even the Dude has snapped a photo or two Unfortunately, most of the REMARKABLE scenery throughout our visit to the Alps will only be etched in our memories (vs captured on film) as the Slovene highway in the Julian Alps consists merely of a single, incredibly narrow road that is to accommodate traffic in both directions, despite only being 2 Smart cars wide (most drive full-size cars) – and has certainly NO space to pull over. I want to extend a special thank you to the older gentleman living in the TEENY TINY town of Kal-Koritnica (population ~125) whose yard we walked by en route to our car after the completion of a hike up in the hills to see some WWI artifacts. He INSISTED we take at least a dozen of his freshly picked plums to replenish our energy… Such unexpected kindness but greatly appreciated!! I have fallen in DEEP LIKE with Slovenia… Ljubljana and Bled are such green cities – both physically and environmentally – with FANTASTIC wines, PHENOMENAL food, and INCREDIBLY friendly people. One minor exception: the police at the border crossing who were quite intimidating especially when several of them surrounded me and the dude (aka dad) on our train car and spent 10+ minutes inspecting every page of our passports asking countless questions. (One even pulled out a loupe to examine my passport photo in detail). Thankfully, the natural beauty of all of the cities we have passed thru has overshadowed the slight negative experience… Even on an INCREDIBLY overcast day, Bled is still INCREDIBLY beautiful! Taking in a few of my FAVORITE Marin County hot spots… Stinson Beach, Rocky Point Beach, Muir Woods… While doing some of my FAVORITE activities… Catching up w/ friends, playing w/ my camera, enjoying the BEAUTIFUL scenery, ascending/descending Mount Tam… Along 16.5 miles of a few of my FAVORITE trails… Steep Ravine, Dipsea, Main, Ocean View… With some of my Bay Area peeps… Followed by refueling with gluttonous amounts of my FAVORITE Burmese cuisine from Mandalay… Mango Salad, Tea Leaf Salad, Basil Spicy Eggplant, Mango Chicken, etc. I couldn’t ask for a better send off!! Escaped the chaos of the city I LOVE to the beauty of the coastline I ADORE… PERFECTION!! Oh, Yosemite, how do I LOVE thee??? 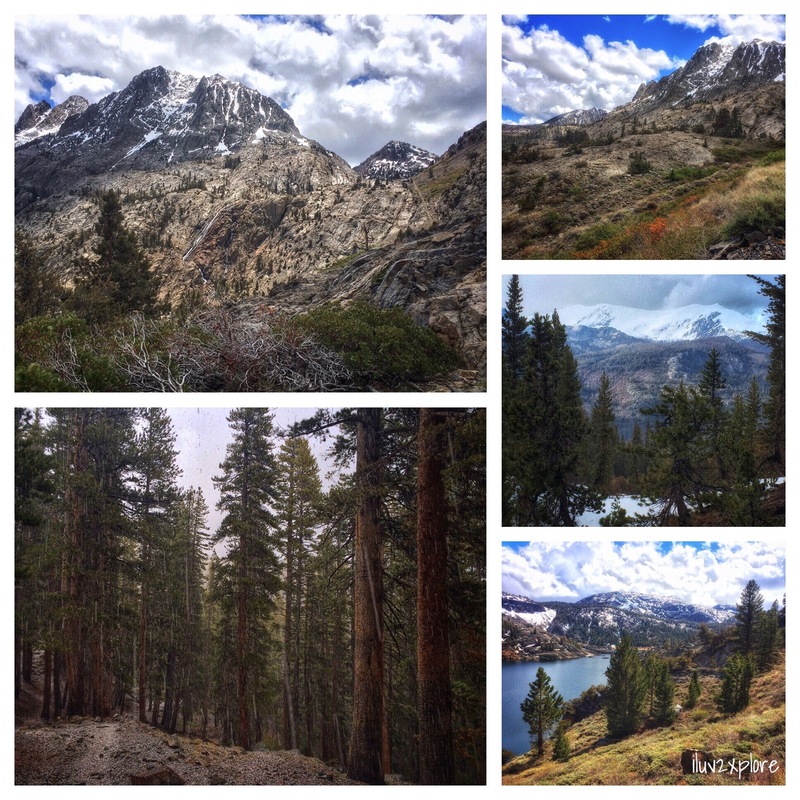 (1) Four Mile Trail – a very steep 3,200 ft ascent, which took my breath away – literally and figuratively. FABULOUS views of Yosemite Valley, Yosemite Falls, and Half Dome. (2) Glacier Point – where I lost Stephanie, Ehsan and I made friends w/ a squirrel, I found Stephanie, and I managed to talk Roxana, and Naren into hiking an additional 9+ miles – all for the LOVE of natural beauty. 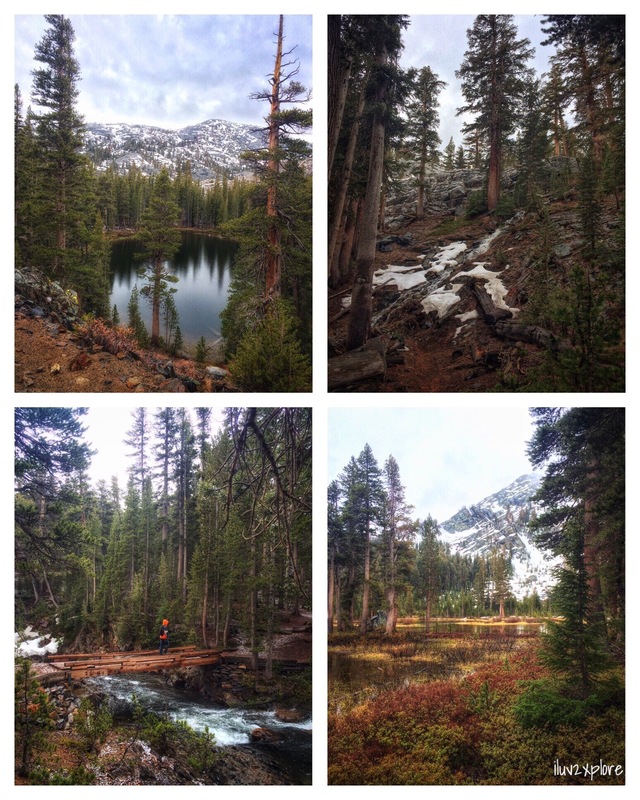 (3) The Panorama Trail – which provided FANTASTIC scenery every step of the way, including quite a bit of wildlife, some bright red plants that we couldn’t name, and LOTS of water – Illilouette and Nevada Falls, to name a few. (4) The Mist Trail – which caused my heart to skip a beat or two (or three) as we descended ~1,000 ft over large, algae-covered boulders while getting sprayed by Vernal Falls – ALL by moonlight. It was scary yet exciting! Hiking the Mist Trail after dark is definitely NOT recommended but did make for an exhilarating end to a full day of exploring Thank you Luda, Javier, Roxana, Alex, Stephanie, Naren, Richard, and Ehsan for a TREMENDOUS weekend of laughs, fun, food, wine, and adventure! Cotopaxi is one of the highest ACTIVE volcanoes in the world, at a height of 5,897m (19,347ft). It typically has a major eruption every 100 years, and the last major eruption was in the early 1900s. Some seismic activity at Cotopaxi Volcano has been recorded throughout 2013, although it is being regarded as “normal behavior of an active, but currently dormant volcano.” So, yes, it is a bit overdue for an eruption…or something… Thankfully, Mother Nature played nice. I knew that the weather at Cotopaxi changes many times throughout the day, and as such, I needed to be prepared for anything and everything. And prepared, I was as I didn’t want the weather to prevent me from reaching my goal – the equatorial glacier at 5,000m. (I even had a rain jacket for my camera). When I began climbing at 10:30AM, the weather was crisp, but clear and very sunny and provided the perfect backdrop. Regardless of the angle, the volcano and surrounding areas were STUNNING. I loved looking across the horizon and seeing the neighboring volcanoes (Chimborazo, Illiniza Sur, Antisana, and Cayambe, to name a few) and the rainbow of colors. I must have taken no less than 100 photos in the span of an hour. I couldn’t have asked for a more perfect day to ascend Cotopaxi Volcano. I managed to reach the glacier at 5,000m (16,400 ft) just before the biting wind and hail started. It was amazingly BEAUTIFUL! The deep scarlet red lava ash sharply contrasted with the white snow-capped volcano, and was draped with the sash of the glacier. Words and photos don’t even begin to capture the immense beauty! I was mesmerized by yet another MAGNIFICENT spot on earth that I was lucky to experience… The melting ice made me a tad bit nervous though – especially knowing that there was an avalanche at this very spot in 1996 that killed 13 people. Thanks to the fog, wind, rain, and hail, that thought was short-lived. I raced down the volcano (or rather slid down the inches upon inches of lava ash) to take cover before I was soaked to the bone. I finished off my adventure with a 10km mountain bike ride down the volcano to Laguna Limpiopungo. I hadn’t ridden a mountain bike in years and certainly not down a very steep, winding road. Talk about an EXHILARATING day! So, again, I want to thank Mother Nature for so many things – including the beautiful sight but also for keeping the weather at bay so that I could have the opportunity to experience Cotopoxi Volcano in all of its splendor. We had an early morning breakfast at the hotel, which consisted of a large spread of tropical fruit, vegetables, cheese, eggs/ omelet’s (made to order), several different kinds of juices, a variety of meats, and the wonderful Baracoan cacao that we had learned about the previous day. I was still a bit full from the eating frenzy the day before, but just had to try the fabulous looking fruit – especially the pineapple and the mangos. Interestingly enough, I have always LIKED these fruits but never LOVED them until my visit to Cuba. I wonder if the amazingly flavorful fruit has anything to do with the organic farming methods used in Cuba and/or the fact that fruit is not picked before it is ripe (which occurs more often than not in the US). In any event, the San Felipe mango, native to Cuba will always have a special place in my heart… I think I ate at least 2 per day for the duration of my journey. Our plan for the day included an 8AM departure for Santiago de Cuba, which is approximately 250km away from Baracoa, lunch in Santiago de Cuba, and visits to the Jesuit Delores College (where Fidel Castro was educated), and the Carnival Museum, to name a few. We made a quick stop en route from Baracoa to Santiago de Cuba to enjoy the beautiful scenery at Alto de Cotilla. And BEAUTIFUL, it was! I LOVE being in the mountains and having a view of the ocean (Caribbean Sea) in the background as it reminds me of the Marin Headlands and Mount Tamalpais in the San Francisco Bay Area. 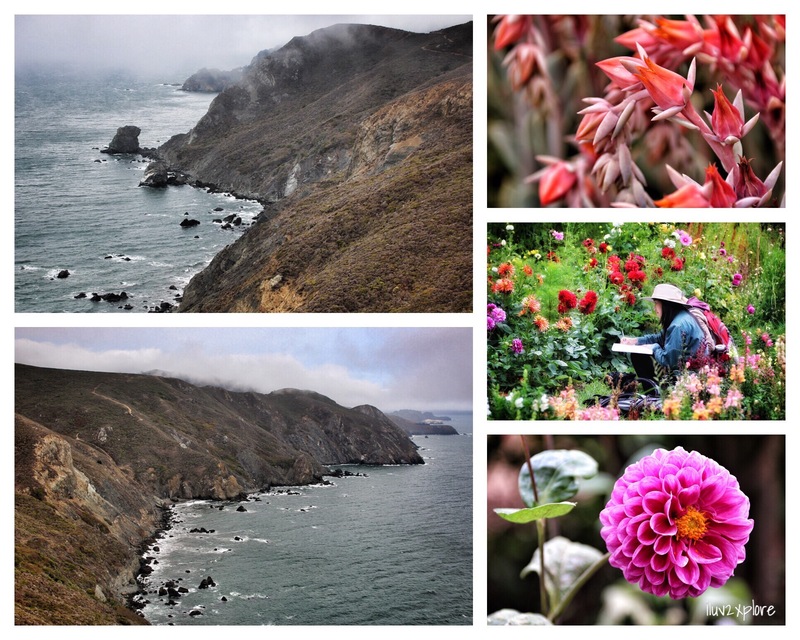 (I am a bit biased, but as a nature junkie, I think the Marin Headlands and Mount Tamalpais are a few of the most beautiful US offerings). We encountered a few of the local merchants who walk or ride their bikes to the top of the mountain in hopes of selling their goods to any passerby who stop to enjoy the view. One such merchant was selling soursop, a tropical fruit that tastes like a combination of strawberries, bananas, pineapples, and coconut but with a somewhat chewy texture. I had never eaten soursop before and the merchant insisted that I sample it. Although this fruit is loved by many, I can honestly say, it is not my favorite… There were also a few merchants peddling sugar cane and chocolate bars – both milk and dark. This was our first experience with both the local (Moneda Nacional = CUP) and tourist currencies (Cuban Convertible Peso = CUC), which have a considerable difference in value (1 CUC = ~20-25 CUP). Thank goodness we had someone traveling with us who could easily tell the difference between the two, and was able to assist some of our fellow travelers with their fruit and chocolate purchases. Unfortunately, there is sizable risk when purchasing goods/services outside touristy areas as most locals do not have access to the tourist currency (CUC) and cannot make change, or make change ignoring the value difference between the currencies (sometimes intentionally). tastes… TASTY – not so much! We crossed thru the Guantánamo Province very close to the United States Naval Station Guantánamo Bay, which houses the Guantánamo Bay Detention Center (also known as G-Bay or Gitmo), the closing of which remains a highly controversial topic around the world. (Although the US has muddy diplomatic relations with Cuba – at best – the US still leases space on the island). We were able to catch a glimpse of the fence surrounding the naval base. Unfortunately it is prohibited to stop anywhere near the base. We made a quick stop for lunch at the Café Matamoros before wandering the streets of Santiago de Cuba, the 2nd largest city in Cuba. After having such wonderful meals in the village of Guirito and at El Poeta paladar in Baracoa, I was less than impressed with the food at Café Matamoros, a state-owned eatery. 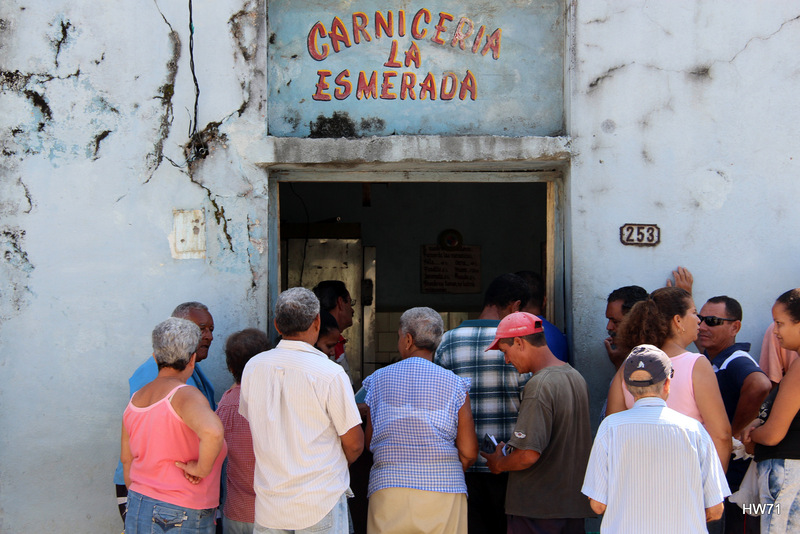 (Most eating establishments in Cuba are government-owned, and although nice, generally lack in the variety and quality of food that they serve). Probably not a fair comparison…government vs. private ownership… My taste buds will mostly likely always choose to eat in a paladar. (A paladar is a private home that sells meals or a privately owned very small restaurant (limited to serving between 12 and 20 people). Paladares became legal to operate in Cuba in the early to mid 1990s, but have a whole bevy of restrictions). On our quick walk from the Plaza Delores, a square in the city center, to the Jesuit Delores College, where Fidel Castro did his schooling in his early years, we were immediately greeted by musicians with matching, bright-colored shirts playing lively Caribbean music. Seniors and mother’s with their young children were relaxing on park benches under the shade trees. Street vendors lined the roads peddling their wares. The streets were also filled with pedestrians, bicyclists, and taxi cab drivers zipping from here to there. The streets were so alive! Santiago de Cuba definitely had more of a BIG CITY feel. The racial makeup of the people is noticeably different in Santiago de Cuba vs. Baracoa. I could certainly see the mix of African, Spanish, French, Haitian, and Jamaican influences in not only the people, but also in the music, art, architecture, etc. For whatever reason, I did not expect Santiago de Cuba to be as racially and culturally diverse as it was… The myriad of sights, sounds, tastes, scents, etc. contributes to my LOVE of Cuba. We then made our way to the Museo de Arte Colonial, built in 1516, and the home of Diego Velázquez de Cuéllar, conquistador and first Spanish governor of Cuba. We had a bit of a delay to the start of our tour and I immediately thought that it was going to get cut short. Surprisingly, our wait was because the museum curator, friends with our local guide, was coming in on his day off just so he could be our tour guide. Sweet! I then began to clue in that our local guide knew EVERYONE. Regardless of what village or city we journeyed to, he was approached with a big hug and even larger smile by no less than 3-4 people. The museum curator was so friendly, had a personality larger than life, and was quite witty. Although museums rarely keep my interest, he kept me quite entertained. Next stop… the Museo del Carnaval. Santiago de Cuba has the island’s most important Carnaval traditions, and the Museo del Carnaval documents the history of Carnaval (from the 1600s) through photos, newspaper clippings, floats, costumes, and musical instruments. The costumes were quite impressive! Unfortunately, photos are not allowed inside the museum. Afterwards, approximately 15 musicians and dancers put on quite a demo, showcasing beautiful costumes and a variety of musical and rhythmic talents. If I ever get an opportunity to return to Cuba, I will try my best to schedule it during Santiago de Cuba’s Carnaval celebration in July. After a full day of activities, we finally made it to our hotel, the Meliá Santiago de Cuba, which is quite a nice hotel. As I am somewhat of a foodie, it is of no surprise that my fondest memory of the hotel relates to just that… My dad and I had quite the dining experience! The La Casona dining room seats approximately 350 people, and is one of 4 formal restaurants on the property. There were COUNTLESS food stations throughout the dining hall, serving every kind of cuisine imaginable – AND each food station provided the ability to get food cooked to order. I knew my stomach was going to be a happy camper when I saw that the seafood station had 10+ different types of fish and just as many types of shellfish to choose from, all cooked to order, and the fruit station had a wide selection including mangos, papaya, passion fruit, pineapples, and guava – a few of my favorite tropicals. There were also vegetable, pasta, meat, poultry, bread, rice and grain, juice, and dessert stations – to name a few. Typically, I am not a huge fan of buffets, but I can honestly say the food was INCREDIBLE! After spending 3 full days in Cuba, spanning 500+ km, and experiencing Holguín, Baracoa, Santiago de Cuba, and the surrounding communities, Cuba has far exceeded my expectations. I cannot wait to see what the remainder of my journey entails. Bus – supposedly a public bus from Santiago de Cuba takes 4+ hours, depending on the weather and road conditions. (We took a chartered bus from Holguín, almost equidistant to Baracoa, and our journey took us ~7 hours, thanks to the lovely road conditions). Our day began at the Museo Municipal del Fuerte Matachín (Matachín Fort Municipal Museum), which documents the history of Baracoa beginning with the first settlers, the Taïnos Indians, and including more recent events. Beyond that, I can’t tell you much about the visit as I spent most of the time playing with my camera trying to learn its features (as I am a very NEW, amateur photographer whose eyes gloss over when people mention words like aperture, shutter speed, white balance, etc.) and attempting to get a good candid shot of my father (who doesn’t really like to have his photo taken). Unfortunately… fortunately my attention span is limited when it comes to museums and the like… Although I understand the importance of history, I would much rather be exploring the outdoors and meeting people – seeing, hearing, and experiencing their lives. At this point, I wasn’t quite sure what I had gotten myself into with the tour but knew that I could easily entertain myself for the duration of the trip – as long as I had my dad by my side and my camera. 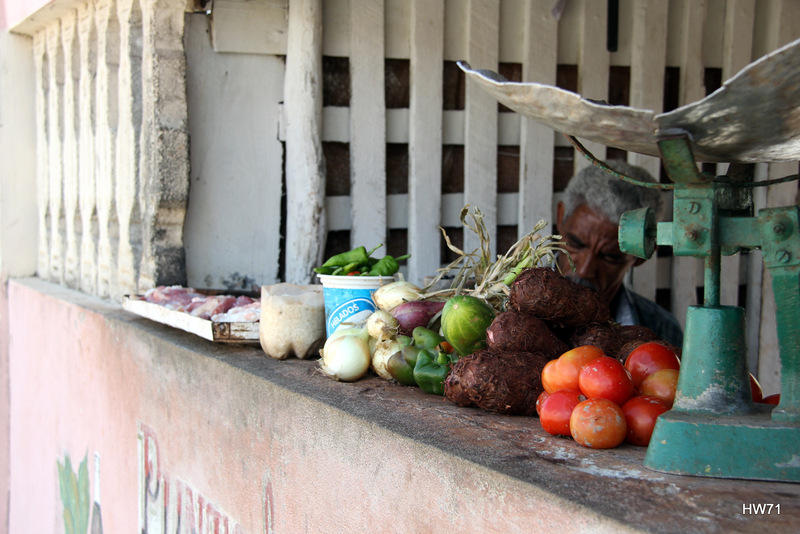 Afterwards, we went on a walking tour of downtown Baracoa. I was so excited to walk the streets, taking in all the sights, sounds, and smells that I could. The storefronts and residential dwellings were all painted bright colors – green, yellow, turquoise, salmon, etc. – reminiscent of the colors found in other Caribbean countries. 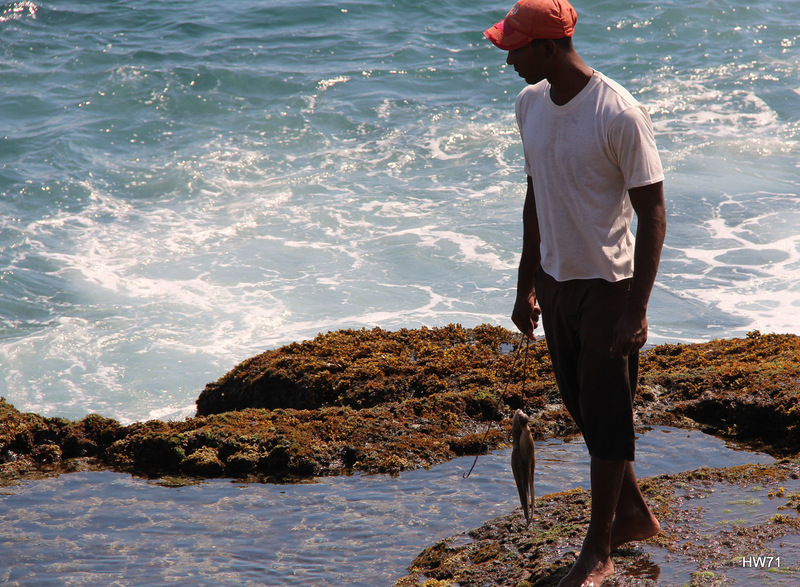 We walked along the malecón and caught a glimpse of several people relaxing on park benches watching the waves, children playing in the sand, and a young man bringing in his morning catch. It was so relaxing! There were quite a few residential dwellings right on the beach, but sadly, they were all quite dilapidated. Americans would pay top $$$ for beachfront property – especially in such a beautiful location. Everyone was so friendly, and more than willing to engage in conversation with me. Unfortunately, my Spanish needs some work… We spent the remainder of our time in downtown Baracoa in the Parque de la Independencia lounging, listening to a musician play his maracas, and people watching. That was where I learned that (1) being called “mango” is a compliment as it is a slang word for a good-looking man or woman, and (2) cañandonga (cassia grandis in English), tastes somewhat like carob. 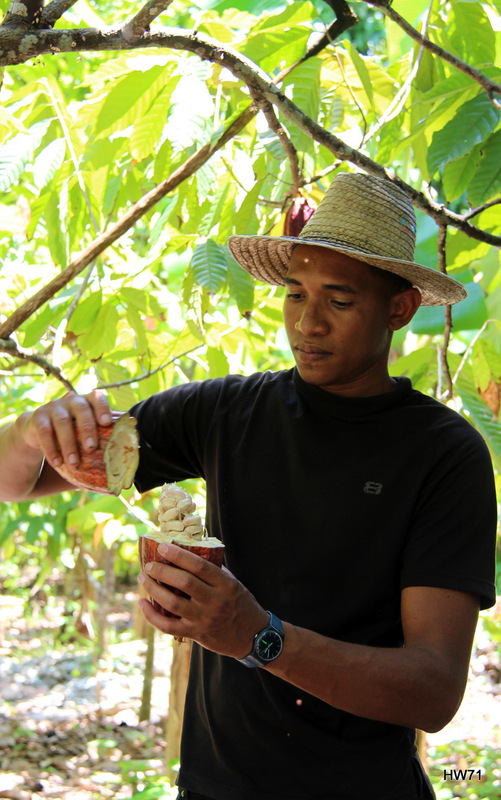 Our activities for the day also included a very informational visit to a cacao farm, which was very fitting as most of the chocolate in Cuba is grown and produced in Baracoa. tastes… and it was very TASTY! Although I have visited the Imhoff-Schokoladenmuseum in Köln, Germany and the Caillers-Nestlé factory in Broc, Switzerland to learn about the history and production of chocolate, this was the first time I actually got to see and taste cacao in its natural state. One of the farmers took the time to show us the fruit of a cacao tree, and the cacao beans that are found inside the “fruit” of the tree. (Cacao is the bean in its natural state; cocoa is what the beans are called once they have been cleaned, roasted and processed). The farm was very beautiful, with every kind of tropical fruit tree imaginable (mangos, pears – including a variety only found in Baracoa, pineapples, coconuts, a large assortment of bananas – from tiny yellow ones to large green ones, avocados, guavas, papayas, numerous varieties of plantains, etc). There were many roosters, hens, and chicks as well as cats and kittens scrambling around beneath the fruit trees and in the flower gardens. 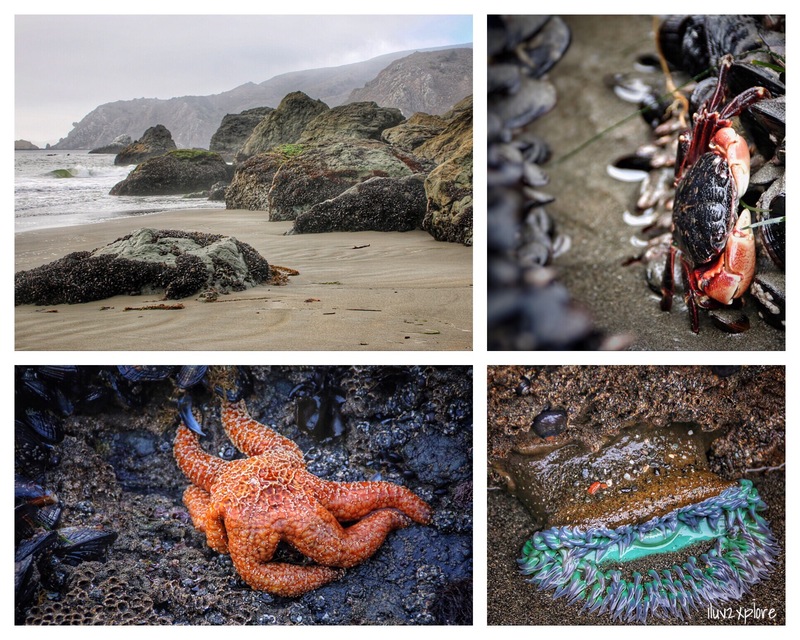 This place is a camera-toting, nature and travel junkie’s dream! 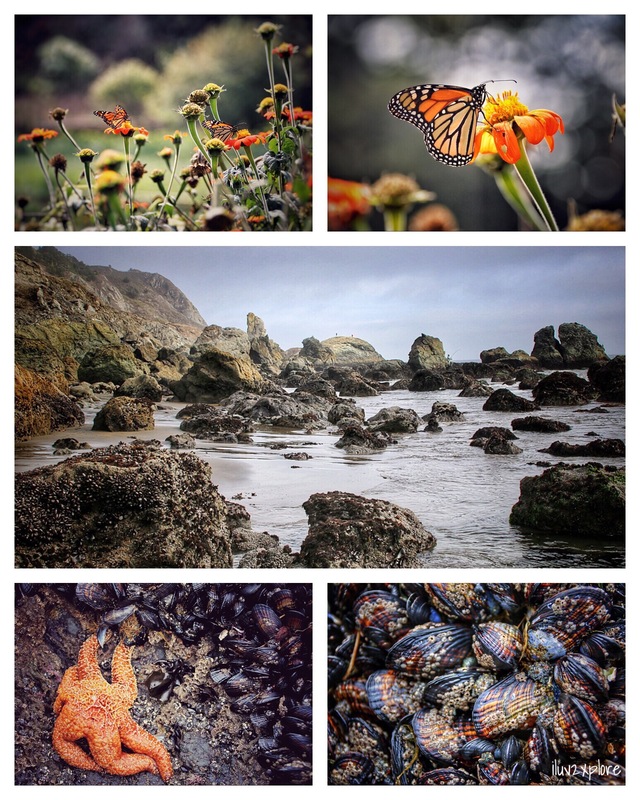 I must have snapped at least a hundred photos of flowers, birds, fruit trees, roosters, etc. We even caught site of Cuba’s national bird, the Cuban Trogon or Tecororo, chirping away and nested fairly high in a tree. Besides the fruit trees and the lovely flower gardens, there was a BEAUTIFUL German Shepherd puppy, named Leal, who caught my attention. (Leal means loyal in Spanish). He spent several hours “escorting” us around the farm, keeping within a few feet of his owner. After running circles around us throughout our visit, Leal finally found time to catch a snooze while we were discussing the 6-step cacao fermentation process with one of the farmers. At the end of our visit, we had the opportunity to sample the cacao. It was the BEST hot cocoa I have ever had, and I drank to my heart’s content. While we were busy filling our stomachs we were serenaded by a local Cuban band, Banda Tropical, who performed a few of their own songs but also played quite a few from the world famous Buena Vista Social Club, a Cuban ensemble. I couldn’t have asked for a better day – to be on vacation… in the Caribbean… experiencing the people, music, art, food, and drinks of Cuba… with my father! The week prior, I was worried this trip wasn’t going to happen because (1) the aftermath of the Beyoncé & Jay-Z controversy, thanks to Senator Marco Rubio and Congresswoman Ileana Ros-Lehtinen, and (2) I had yet to receive my license, visa, or plane ticket to Cuba from our travel company. Thankfully, it all worked out! 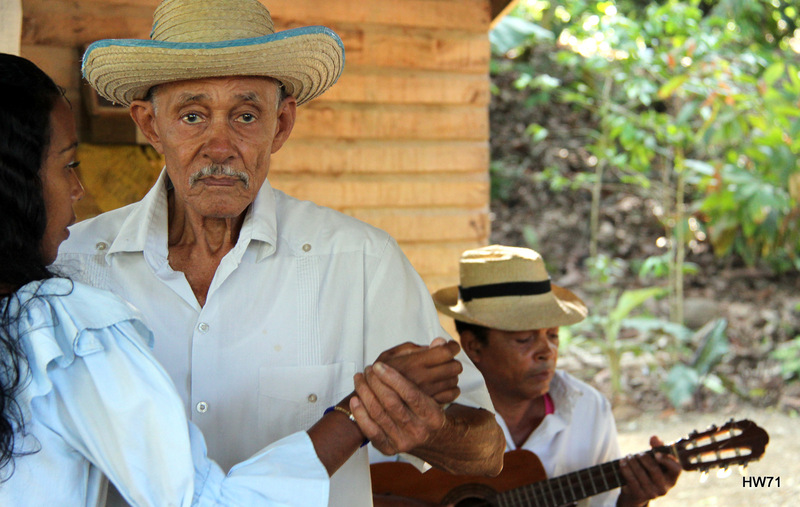 The adult members of the village performed some of their native dances – adaptations of the Cuban son (el nengen and el kiriba), which is the root of contemporary salsa music today. I was introduced to so many new instruments that I had never seen before: marímbula, botijuela, claves, and güiro – granted I am not a musician. The music had such a beautiful rhythm… I was captivated by their dancing as their bodies flowed seamlessly with the beat. Meanwhile, the children sat around and watched us with very skeptical eyes. I was quite surprised that everyone – including the youngsters – maintained such a solemn expression throughout most of our visit. 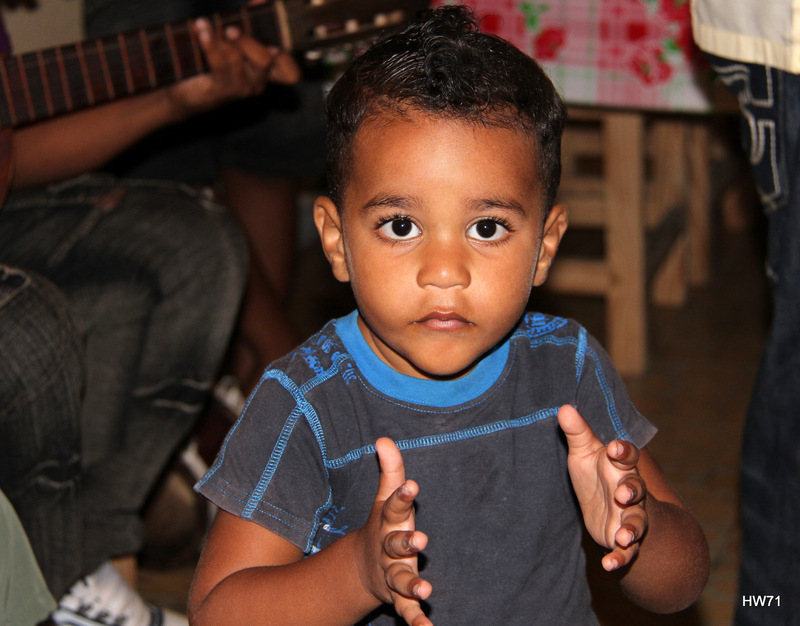 One of the young boys loved having his photo taken and tried his best to keep my attention on him. It took quite some time of interacting with the older children to finally get them to crack a smile. The younger ones, no such luck… My favorite was a very shy little girl who just stared at me for more than an hour. After their performance, a few of the adult women brought out all kinds of native dishes for us to try. The food just kept coming… I have absolutely no idea what I ate…or drank… Whatever we were served… It was FANTASTIC! 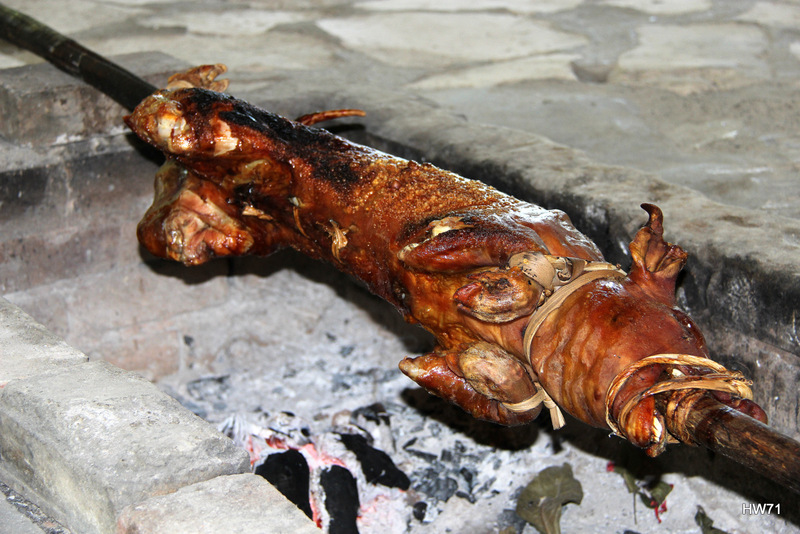 Our evening plans included dining at one of Baracoa’s finest paladares – El Poeta (or O Poeta on Trip Advisor). A paladar is a private home that sells meals or a privately owned very small restaurant (limited to serving between 12 and 20 people). 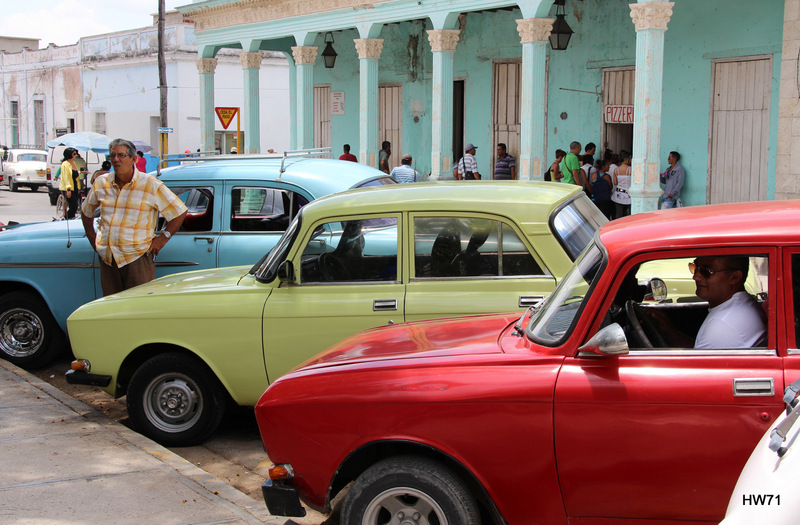 Paladares became legal to operate in Cuba in the early to mid 1990s, but have a whole host of restrictions. Once we had finished eating and drinking, Pablo had two special treats for us – (1) a ball of Baracoan pure cacao and (2) a viewing of his BEAUTIFUL pet snails. Polymita Picta, also known as the Cuban Land Snail or Painted Snail, are endemic to Cuba and inhabit the subtropical hardwood forests growing on the coastal plains and mountains of the Eastern end of Cuba. They are collected for their shells and are in danger of extinction. The owner of the paladar, Pablo, breeds them and releases them in the nearby Alejandro de Humboldt National Park, a UNESCO World Heritage Site. DOWNTOWN BARACOA, THE VILLAGE OF GUIRITO, ETC. The past 24 hours in Beijing have been chaotic, exhausting, humorous, surprising, adventurous, and just downright EXHILARATING… My bestie and I found that trying to cross the road was like being in a live game of Frogger 😁. I am still not sure how, but SOMEHOW, we managed to make it to the other side… We also had our first introduction to Chinese-style squat toilets 😁😁. Imagine trying to balance a backpack and an overnight bag on your body (the stalls have no hooks/shelves), while trying to squat over a hole in the ground, while trying not to touch anything, while trying not to smell anything, while trying not to notice anything, all while trying to pull your stash of toilet paper from your bags (as the stalls have none). I managed fairly well despite the residual effects from a 1999 car accident which makes it near impossible to do a “3rd World Squat.” My bestie, however, was always in search of a Western toilet and rejoiced heavily the few times she was actually able to find one… We also got our first introduction to internet censorship 😁😁😁. I knew that there were issues with Google (and related products) and Facebook but had no idea that I would also incur issues when attempting to view the NY Times and Bloomberg websites. Most surprising was to find that I would have NO access to WordPress (my blog host) during my China travels. Really??? WordPress??? Interestingly enough, my bestie initially had access to google chat thru VPN on her work computer – that is until she decided to complain to her boyfriend via google chat about the Chinese-style squat toilets. Almost INSTANTANEOUSLY, it quit working. Eerie, huh??? Welcome to China! The most SPECTACULAR moment since landing in Beijing last night, was hiking a somewhat remote portion of the Great Wall of China at Huanghuacheng (Huang Hua Cheng – aka “Yellow Flower Fortress”) today with my bestie and a local adventure guide named James. Huanghuacheng is located in the Huairou District, about 60 kilometers from Beijing, China and was constructed in the Ming Dynasty (1368-1644). It is ~6.8 miles (11km) long and joins with Juyongguan Pass and Badaling in the southwest and Jiankou and Mutianyu in the northeast. Huanghuacheng is quite rugged as it has deteriorated over time and has yet to be restored like Mutianyu, Badaling, and other, more popular sections of the Great Wall. Although I am an avid hiker, hiking this section of the Great Wall was CHALLENGING – to say the least – AND a bit SCARY at points, but ultimately, I LOVED it. Some portions were almost vertical and resembled climbing a very, VERY tall wall at a rock gym; other portions were just REALLY STEEP and SLICK (and going downhill was no better than going uphill). After the first 30-45 minutes of hiking, James and I were the only two people venturing forward on the Huanghuacheng section of the Great Wall as most turn back once they begin to experience the difficult terrain. Although I am afraid of heights, somehow James managed to gain my trust enough that I continued to follow him to points that WELL EXCEEDED my comfort zone. The bait… the promise of great scenery. (And for me, it’s all about the view!!) Just as James had promised, the BRILLIANT views became even more MAGNIFICENT the higher we ascended. 2012-May-19 Huairou, Beijing, China: Hiking “Yellow Flower Fortress,” a somewhat remote section of the Great Wall at Huanghuacheng, which is located in the Huairou District, about 60 kilometers from Beijing, China and was constructed in the Ming Dynasty (1368-1644). It is ~6.8 miles (11km) long and joins with Juyongguan Pass and Badaling in the southwest and Jiankou and Mutianyu in the northeast. Some portions were almost vertical and resembled climbing a very, VERY tall wall at a rock gym; other portions were just REALLY STEEP and SLICK (and going downhill was no better than going uphill). The scenery was so MESMERIZING that I forgot about my fear of heights until it was time to climb down. James managed to scurry down just like a mountain goat. (Granted, he has probably hiked this section of the Great Wall hundreds of times…) For the life of me, I could not figure out the best way to descend the almost vertical section I had managed to climb up an hour before. What goes up MUST come down… RIGHT???? My heart began pumping out of my chest as I thought of how easy it would be to slip and fall right off the Great Wall… For a split moment, I told myself that if this was my last day on this earth, at least I had a very full life and was leaving a BEAUTIFUL locale doing something that I LOVE – exploring. James must have sensed my fear because the next thing I knew, he had returned to where I was and began instructing me on my hand and foot placement. I will be forever thankful 😘!! Unfortunately, pictures don’t do the Huanghuacheng section of the Great Wall justice… I will, however, always have etched in my memory the EXHILARATING feeling standing atop a tower, by myself, surrounded by mountains, smog, lakes, more smog, miles upon miles of the Great Wall sprawled throughout… THE SMOG… taking in what many would consider one of the great wonders of the world. I felt so alive! 2012-May-19 Huairou, Beijing, China: Hiking “Yellow Flower Fortress,” a somewhat remote section of the Great Wall at Huanghuacheng, which is located in the Huairou District, about 60 kilometers from Beijing, China and was constructed in the Ming Dynasty (1368-1644). It is ~6.8 miles (11km) long and joins with Juyongguan Pass and Badaling in the southwest and Jiankou and Mutianyu in the northeast. Some portions were almost vertical and resembled climbing a very, VERY tall wall at a rock gym; other portions were just REALLY STEEP and SLICK (and going downhill was no better than going uphill). Locals “guard” the wall and charge access fees (price posted on the wall) for whatever sections they prefer. Thank you for the experience, Huanghuacheng!! Bliss… Sitting on our hotel deck, watching the sunset, listening to live reggae, drinking frozen mango/strawberry/papaya juice, and eating freshly caught fish and fried plantains made by Ms. Norma with the Dude (aka dad), sis, bro-in-law, and baby niece and nephew. Life is good!! I had heard that Jamaica has pretty sunsets… Pretty is an understatement! This sunset was ASTONISHINGLY BEAUTIFUL!! The spectacular display of hues… the oranges, the yellows, the pinks… and the dark clouds from the mid-afternoon rain storm made for a rather REMARKABLE sunset. Even my almost 2 year-old nephew took notice – albeit for a short moment – which was quite surprising since the only thing that seems to grab his attention is 4-wheeled vehicles (especially trucks) and anytime I leave the room. (I must admit, it’s kind of cute to be followed EVERYWHERE – even when I return to my room to brush my teeth. Hopefully, this love for his Auntie will last 😘). Thus far, Negril has lived up to its reputation of providing a family-friendly environment, a laid back lifestyle, extremely warm people, white sand beaches, and BEAUTIFUL sunsets. It’s everything we desired for our brief family get-a-way to celebrate my sister’s graduation from nursing school (with honors) and my nephew’s 2nd birthday (his last free plane ride). Montego Bay (aka Mo Bay), you may have the glitz and glam, but you do not have the INCREDIBLE sunsets from Seven Mile Beach 😜. Thank you, Negril and Mother Nature!